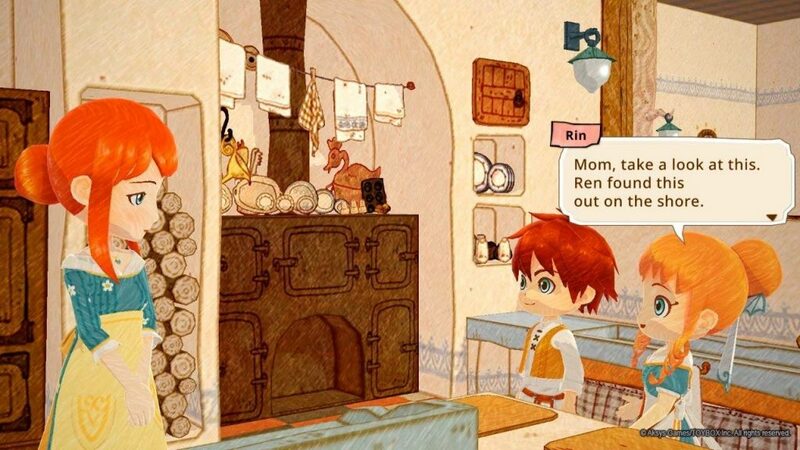 Little Dragons Café, from Aksys Games, is an adorable harvesting quest game, with the added fun of raising a pet dragon from an egg. It’s been available for Nintendo Switch and PlayStation 4 since the summer, but has recently become available for Steam users too. The hand-drawn look of the graphics is very charming, and the gameplay is super casual, with no violence or heavy conflict, making this a perfect game for kids, or those adults just wanting to relax while having a little bit of fun. Leisurely explore the lovely world around your café, harvest fruits, veggies, and other ingredients for your meals, cook some recipes for your customers, and feed and play with your dragon. Simple, easy, and surprisingly engaging. You begin the game by choosing which one of a set of twins you’d like to play as, brother Ren, or sister Rin. The other one will be a companion and helper inside the café. The story element begins in a rather jarring manner compared to how the game progresses, with the sudden fall of the twins’ mother into a mystical coma. A little bit dark for a kid’s game. A weird old magician arrives, telling them they need to take care of the café until they can cure their mother, which will be accomplished somehow by raising a dragon to adulthood. While you wait for him to grow up, you’ll get stuck into the day-to-day tasks of running a rural café, including welcoming new employees and interacting with some interesting customers. The story element is mostly in the background, though. The majority of gameplay is consumed with casually exploring the landscapes around the café, searching for newer and better ingredients. 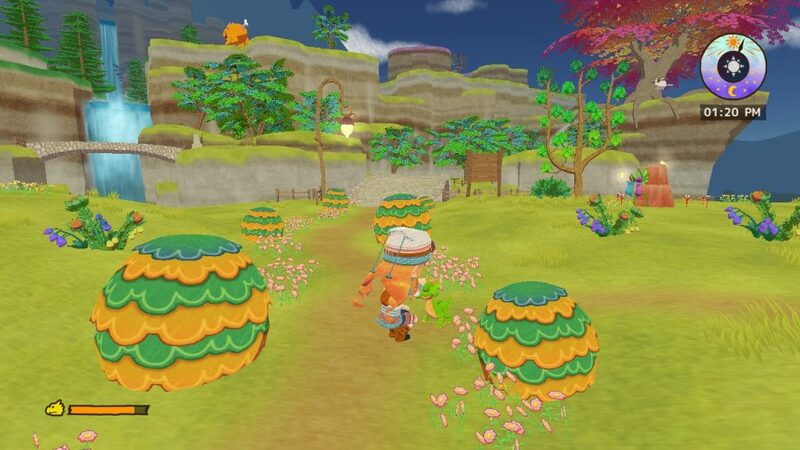 This may include shaking fruit trees, collecting chicken eggs, picking fruit from glowing bushes, fishing, and a lot of running. For some reason, the default speed of movement for your character is a run, which is a bit annoying to control. Fortunately, you can hold the Shift button down and she’ll slow to an easier walk. UNfortunately, you have to keep it held down or she’ll run again, so be ready for a tired left pinky finger in exchange for more accuracy in your movements. Despite the running, I found it very relaxing to roam around the pretty landscapes in search of new ingredients. Don’t expect anything too exciting to happened during these explorations. Perhaps the game gets a little more action-packed the further you get into the story, but in the few hours I was hanging out with Rin, it was the most casual game I’ve ever played. You WILL get a little variety during your explorations, when you find recipe fragments for new dishes. There are 4 fragments per recipe, and finding them is a bit of a scavenger hunt. You’ll need to learn to cook these new recipes in your café, to progress the story and keep customers, and your dragon, happy. You’ll have little conversations with the other characters, but they aren’t going to change the outcome of the game. They’re really just there to flesh out the basic story, and break up the exploration, harvesting, and cooking parts with a little bit of variety. The characters are all quirky and fun though, so these little cut-scenes are an enjoyable interlude. The dragon makes a nice addition too. Keeping him happy requires you to make food for him to eat, pet and play with him, and let him help with ingredient collection, by crawling into small caves or carrying fruit. Eventually, he’ll grow from a tiny hatchling into a majestic beast, who you can even ride. 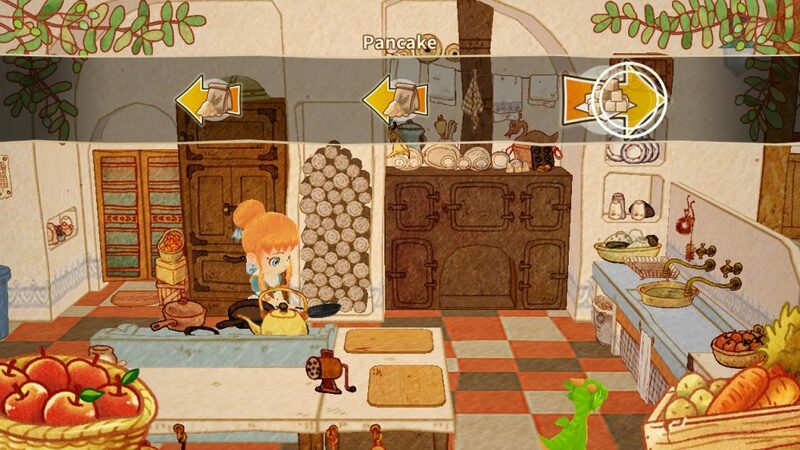 Cooking with your collected ingredients is a nice little diversion too, and actually pretty fun. Once you choose which recipe you want to cook, you’ll have to hit the Arrow keys in rhythm to music, and in time to each ingredient scrolling across the screen into a target circle. The more accurate your key pushing, the tastier, and more nutritious the dish comes out. 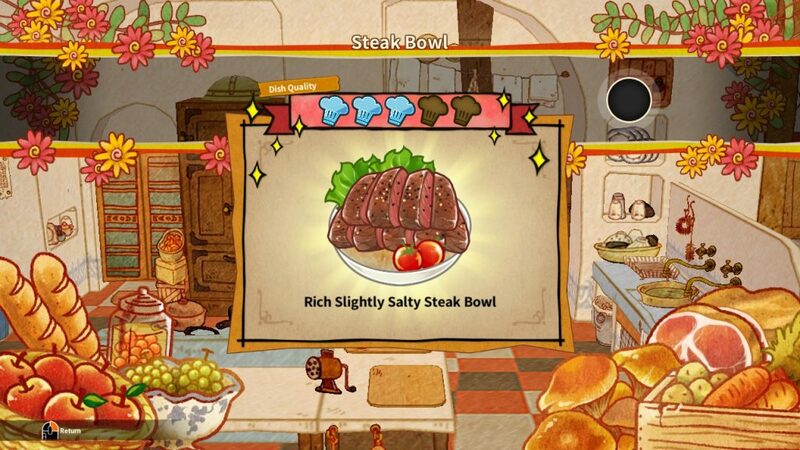 I wish the recipes took more key strokes to complete, because I enjoyed this little mini-game feature quite a lot. 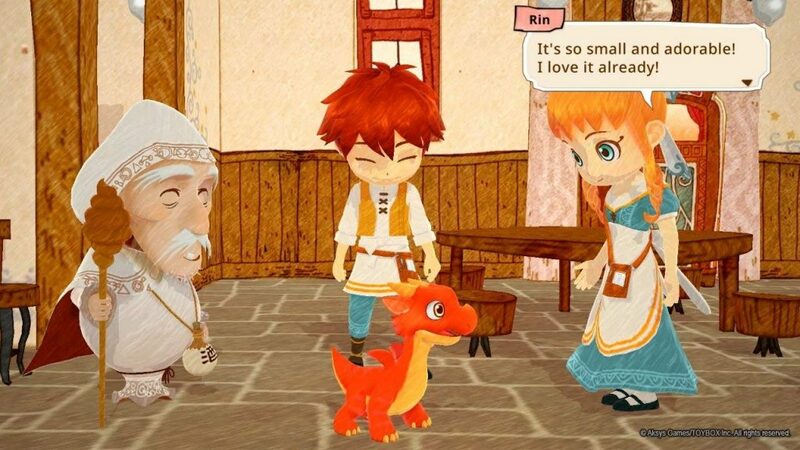 Little Dragons Café is a very cute, and very casual title. 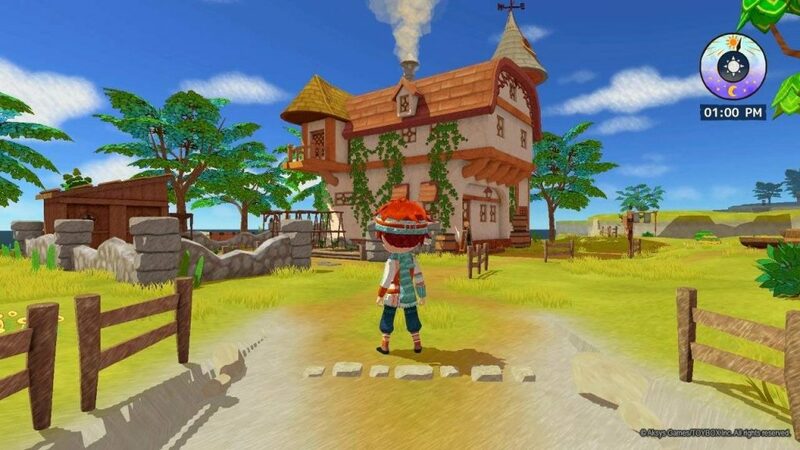 I would definitely spend more hours exploring this world, and I’d recommend it to anyone who is looking for an easy, non-confrontational, leisurely game to play, especially if you have young kids. There’s a lot of reading during the conversations though, so if your kids aren’t school-aged yet, you might have to play along with them. I will say that it probably isn’t worth the full $59.99 price tag for what it is, but Steam has sales all of the time, and I’d be comfortable paying half that amount for the enjoyment I’ve had from this game. Pop over to the Steam page if you’d like to check it out for yourself.